Comments: Has fragrant dark blue to purple flowers during the warm months. Fruit and plant parts are poisonous and is deer tolerant. 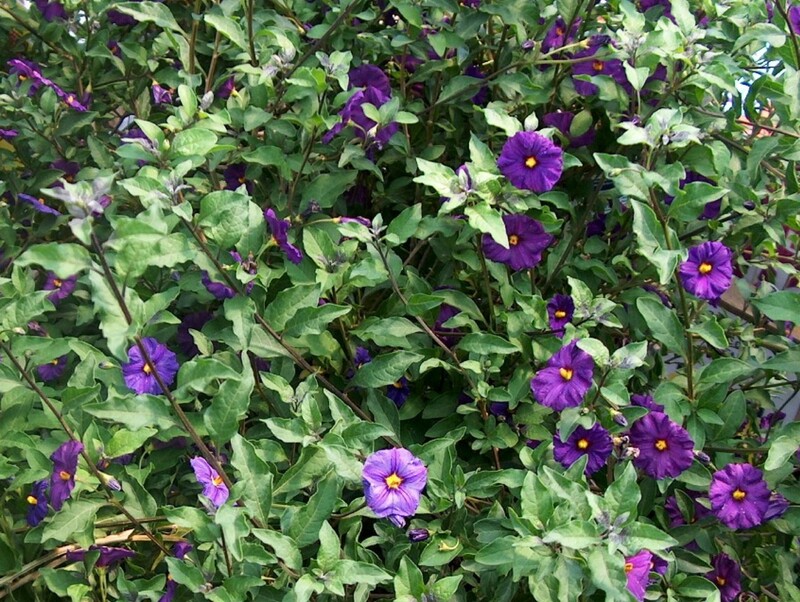 It can be used in borders and as a container plant or espalier.